From a new moon circle to rooftop yoga, there's plenty to do when it comes to holistic activities to enrich your week. Read on for a rundown. Celebrate the new moon in Gemini at Wanderlust Hollywood's new moon circle. Your hosts Jill Wintersteen of Spirit Daughter, Aarona Lea of the Moon Deck and cosmic poet Allie Michelle will lead you through yoga and meditation, partner work to help you align with the dualistic spirit of Gemini and intention setting. When: Tuesday, June 12, 7-9:30 p.m.
Where: Wanderlust Hollywood, 1357 N. Highland Ave. Burn extra calories and free your spirit at Daybreaker's early-morning Pride party. While the yoga session is already sold out, there's still time to score a ticket to kick your Thursday morning off with live DJ sets and healthy treats like distilled non-alcoholic spirits and hemp-based breakfast snacks. When: Thursday, June 14, 6:30-8:30 a.m.
Where: Station 1640, 1640 N. Cahuenga Blvd. 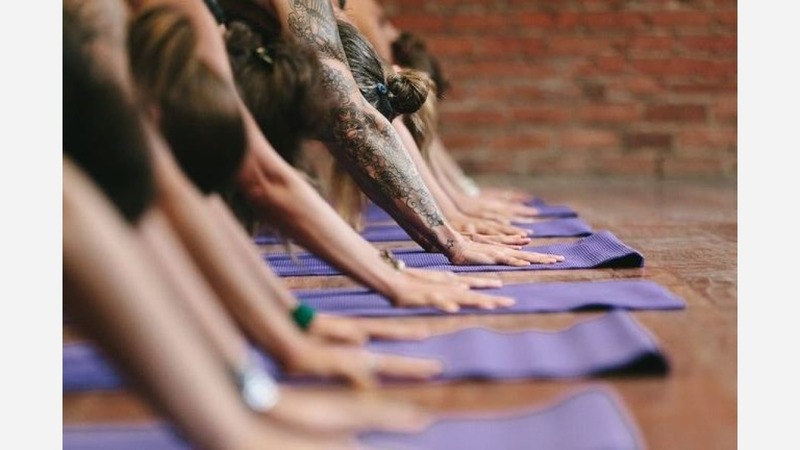 Indulge your mind, body, tastebuds and inner shopaholic at the monthly yoga-brunch party at Row DTLA. For $25, participants will enjoy a 75-minute yoga flow set to soulful grooves pumping from headphone sets. Then, purchase bites like acai bowls, vegan tacos or gourmet grilled cheese to fuel you up before exploring the shops. When: Sunday, June 17, 10:30 a.m.-4 p.m.